A land of pristine white beaches, buzzing nightlife, and year-round warm weather, the city of San Diego is a marvelous place to call home. Though we’re based in San Francisco, we also have operations in San Diego, which gives us the ability to service moves in most of the state. If you’re contemplating a relocation to sunny San Diego or moving to another area of town, we would love to assist with your move. Packing/Unpacking services including antiques, fine art, etc. All our moves have a two-hour minimum. The clock starts when movers leave dispatch and finishes when the movers complete the move. 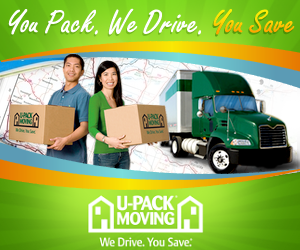 We do not include the time it takes movers to drive from your residence back to dispatch. After the first two hours, we charge for every additional 15 minutes. So, for example, if your move takes 2 hours and 45 minutes, we will prorate the third hour by 75%. Most 1-2-bedroom apartments can be moved in 2-3 hours. We do not charge additional fees for stairs, distance from the curb, etc. All rates are flat rates, but keep in mind if you live on the 3rd floor, it will likely take us longer to complete your move. For each additional bedroom, estimate another hour of moving. We assist with moving everything from condos to modest bungalows to large estates. Most 3-bedroom homes take 3-4 hours to move, 4-bedrooms take 4-5 hours, and 5-bedrooms take 5-6 hours. If you have a larger home, please contact us and we’d be happy to schedule an in-home consultation to provide you with a better moving estimate. Because office relocations vary depending on the building configuration, we do all on-site moving estimates for commercial moves. Your moving coordinator will work with you to give you a thorough moving quote, then devise a plan for your move that is least disruptive to your business. We realized getting your business moved quickly and efficiently is key, so we work hard to make your office relocation as seamless as possible. While local moves are calculated by the hour, long distance moving costs are determined by the weight of your belongings. Our in-home estimator will review your household inventory with you to come up with a close approximation of the weight of your move based on the estimated volume of what you’re moving. On moving day, we weigh the truck before and after picking up at licensed weigh stations to determine the total weight of your shipment. The final price for your move is based upon this weight, but will not exceed the price you were originally quoted. Whether you’re moving to Chula Vista or from San Marcos to another part of the country, we’d love to assist with your San Diego metro move! Please contact our San Diego team here to get started today.